Tomakomai (苫小牧市 Tomakomai-shi) is a city and port in Iburi Sub prefecture, Hokkaido, Japan. 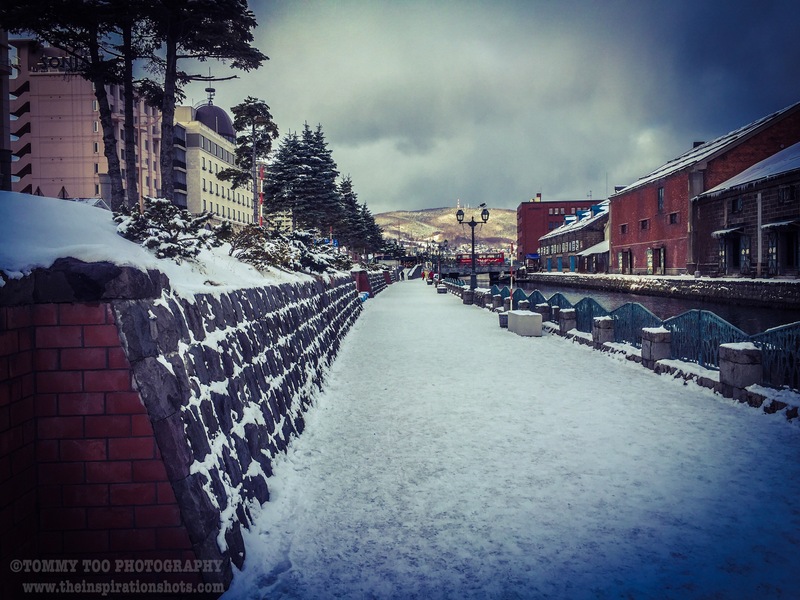 It is the largest city in the Iburi Sub prefecture and the fifth largest city in Hokkaido. As of February 29, 2012, it had an estimated population of 174,216, with 83,836 households and a population density of 310.27 persons per km² (803.60 persons per sq. mi.). The total area is 561.49 km² (216.79 sq mi). 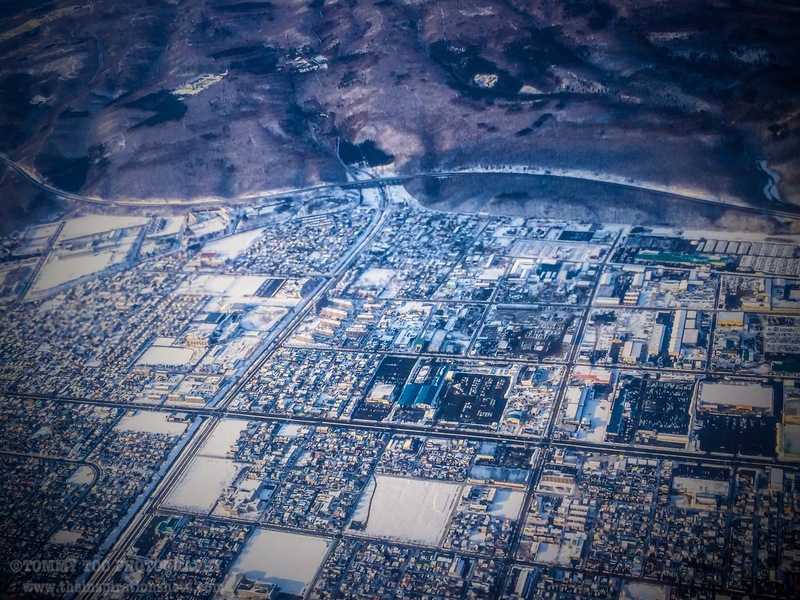 The name of Tomakomai is derived from Ainu word “to” and “mak oma nay”, meaning “Marsh” and “River which goes into the depths of the mountain”. In year 1873 The village of Tomakomai was founded. Later in year 1918 Tomakomai village became Tomakomai town and lastly in year 1948 Tomakomai town became Tomakomai city. A ski is a narrow strip of semi-rigid material worn underfoot to glide over snow. Substantially longer than wide and characteristically employed in pairs, skis are attached to ski boots with ski bindings, with either a free, lockable, or partially secured heel. For climbing slopes, ski skins (originally made of seal fur, but now made of synthetic materials) can be attached at the base of the ski. Originally intended as an aid to travel over snow, they are now mainly used recreationally in the sport of skiing. The word ski comes from the Old Norse word “skíð” which means stick of wood or ski. In Swedish, another language evolved from Old Norse, the word is “skidor” (pl.). English and French use the original spelling “ski”, and modify the pronunciation. Prior to 1920, English usage of “skee” and “snow-shoe” is often seen. In Italian, it is pronounced as in Norwegian, and the spelling is modified: “sci”. Portuguese, German and Spanish adapt the word to their linguistic rules: esqui, Schier (a German plural of Ski) and esquí. Many languages make a verb form out of the noun, such as “to ski” in English, “skier” in French, “esquiar” in Spanish, “sciare” in Italian, “skiën” in Dutch, “esquiar” in Portuguese or “schilaufen” (as above also Ski laufen or Ski fahren) in German. Finnish has its own ancient words for skis and skiing. In Finnish ski is suksi and skiing is hiihtää. The Sami also have their own words for skis and skiing. 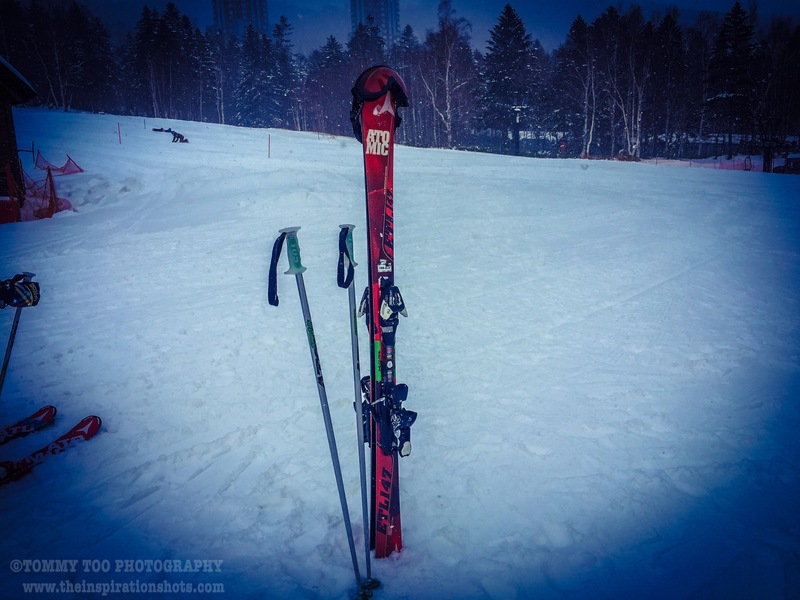 For example, the Lule Sami word for ski is “sabek” and skis are “sabega”. The Sami use “cuoigat” for the verb “to ski”. The term may date back to 10,000 years before present. The oldest wooden skis found were in what is today Russia (c. 6300-5000 BCE), Sweden (c. 5200 BCE) and Norway (c. 3200 BCE) respectively. Nordic ski technology was adapted during the early 20th century to enable skiers to turn at higher speeds. New ski and ski binding designs, coupled with the introduction of ski lifts to carry skiers up slopes, enabled the development of alpine skis. Meanwhile advances in technology in the Nordic camp allowed for the development of special skis for skating and ski jumping. Ski mountaineering is a skiing discipline that involves climbing mountains either on skis or carrying them, depending on the steepness of the ascent, and then descending on skis. There are two major categories of equipment used, free-heel Telemark skis and skis based on Alpine skis, where the heel is free for ascents, but is fixed during descent. The discipline may be practiced recreationally or as a competitive sport. Competitive ski mountaineering is typically a timed racing event that follows an established trail through challenging winter alpine terrain while passing through a series of checkpoints. Racers climb and descend under their own power using backcountry skiing equipment and techniques. More generally, ski mountaineering is an activity that variously combines ski touring, Telemark, backcountry skiing, and mountaineering. It is planned by the Union Internationale des Associations d’Alpinisme (UIAA), to make ski mountaineering by itself part of the 2018 Olympic Games. Military patrol was an official event at the 1924 Winter Olympics, followed by demonstration events at the 1928 Winter Olympics, in 1936 and in 1948. Military patrol is considered to be a predecessors of the biathlon. From 1992 to 2009, the Comité International du Ski-Alpinisme de Compétition (CISAC), founded by France, Italy, Slovakia, Andorra and Switzerland, sanctioned the European Championship. Then the CISAC merged with the International Council for Ski Mountaineering Competitions in 1999, which in 2008 became the International Ski Mountaineering Federation (ISMF). Outside Europe, international championships started with the 2007 South American Ski Mountaineering Championship and the 2007 Asian Championship of Ski Mountaineering. The 2012 North American Ski Mountaineering Championship was the first edition of a North American Championship of Ski Mountaineering, sanctioned by the United States Ski Mountaineering Association. A ski resort is a resort developed for skiing, snowboarding, and other winter sports. 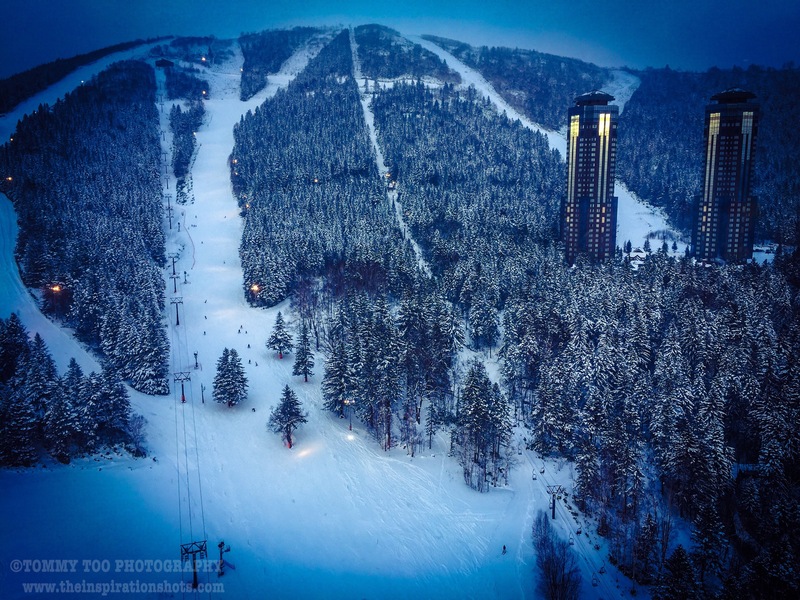 In Europe, most ski resorts are towns or villages in or adjacent to a ski area – a mountainous area with pistes, ski trails and a ski lift system. In North America, it is more common for ski areas to exist well away from towns, so ski resorts usually are destination resorts, often purpose-built and self-contained, where skiing is the main activity. Ski areas have marked paths for skiing known as runs, trails or pistes. Ski areas typically have one or more chairlifts for moving skiers rapidly to the top of hills, and to interconnect the various trails. Rope tows can also be used on short slopes (usually beginner hills or bunny slopes). Larger ski areas may use gondolas or aerial trams for transportation across longer distances within the ski area. Ski areas usually have at least a basic first aid facility, and some kind of ski patrol service to ensure that injured skiers are rescued. The ski patrol is usually responsible for rule enforcement, marking hazards, closing individual runs (if a sufficient level of hazard exists), and removing (dismissing) dangerous participants from the area. Some ski resorts offer lodging options on the slopes themselves, with ski-in and ski-out access allowing guests to ski right up to the door. Ski resorts often have other activities, such as snowmobiling, sledding, horse-drawn sleds, dog-sledding, ice-skating, indoor or outdoor swimming, and hot tubbing, game rooms, and local forms of entertainment, such as clubs, cinema, theaters and cabarets. Après-ski (French: after skiing) is a term for entertainment, nightlife or social events that occur specifically at ski resorts. These add to the enjoyment of resort-goers and provide something to do besides skiing and snowboarding. The culture originated in the Alps, where it is most popular and where skiers often stop at bars on their last run of the day while still wearing all their ski gear. People that browse ski resort & hotel websites will commonly seek mention of the quality of après-ski in the area, and such information is often found. It is therefore seen as an important factor for skiers to consider before booking a holiday. The concept is similar to the nineteenth hole in golf. Though the word ‘ski’ is a derivation of the Old Norse ‘skíð’ via Norwegian, the choice of French is likely attributed to the early popularity of such activities in the French Alps, with which it was then linked. Snow pertains to frozen crystalline water throughout its life cycle, starting when it precipitates from clouds and accumulates on surfaces, then metamorphoses in place, and ultimately melts, slides or sublimates away. Snowstorms organize and develop by feeding on sources of atmospheric moisture and cold air. Snowflakes nucleate around particles in the atmosphere by attracting supercooled water droplets, which freeze in hexagonal-shaped crystals. Snowflakes take on a variety of shapes, basic among these are platelets, needles, columns and rime. As snow accumulates into a snowpack, it may blow into drifts. Over time, accumulated snow metamorphoses, by sintering, sublimation and freeze-thaw. Where the climate is cold enough for year-to-year accumulation, a glacier may form. Otherwise, snow typically melts, seasonally, and causes runoff into streams and rivers and recharging groundwater. Major snow-prone areas include the Arctic and Antarctica, the upper half of the Northern Hemisphere, and alpine regions. Scientists study snow at a wide variety of scales that include the physics of chemical bonds and clouds; the distribution, accumulation, metamorphosis, and ablation of snowpacks; and the contribution of snowmelt to river hydraulics and ground hydrology. In doing so, they employ a variety of instruments to observe and measure the phenomena studied. Their findings contribute to knowledge applied by engineers, who adapt vehicles and structures to snow, by agronomists, who address the availability of snowmelt to agriculture, and those, who design equipment for sporting activities on snow. Scientists develop and others employ snow classification systems that describe its physical properties at scales ranging from the individual crystal to the aggregated snowpack. A sub-specialty is avalanches, which are of concern to engineers and outdoors sports people, alike. Snow affects such human activities as transportation: creating the need for keeping roadways, wings, and windows clear; agriculture: providing water to crops and safeguarding livestock, and such sports as skiing, snowboarding, and snow machine travel. Snow affects ecosystems, as well, by providing an insulating layer during winter under which plants and animals are able to survive the cold.